After studying fine art I managed to avoid painting or ‘doing art’ for almost 25 years. It was only after my sons decided to buy me a huge box of art materials for my birthday one year that I rediscovered my love of drawing and painting. I enjoy exploring combining different materials and mediums. 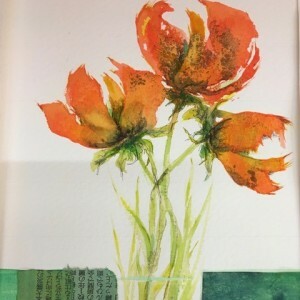 At present I have been working with ink, often combined with other materials such as watercolour, fabric, paper etc and generally just having fun on my journey to growing old disgracefully…. Sîan Armstrong lives and works on the Isle of Skye, which is a mountainous and beautiful island. ‘Trees in this part of the world have a hard time of it due to the climate, especially the constant onslaught of the wind and the frequent storms. As a result, over time they often develop interesting and marvellous forms and shapes which appeal to my imagination. Sîan resumed art about fifteen years ago after doing other things such as farming and environmental psychology. 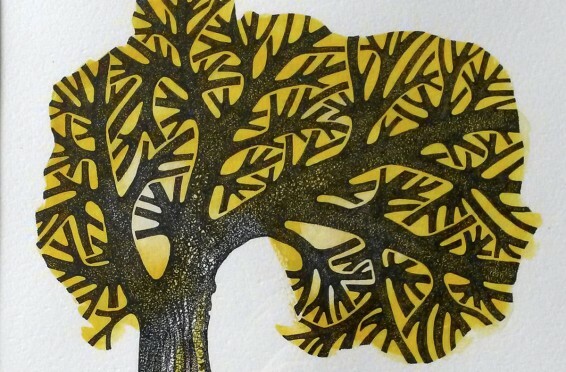 Her trees are drawn mostly in pen and ink on Aquarelle paper with limited use of watercolour and gouache. 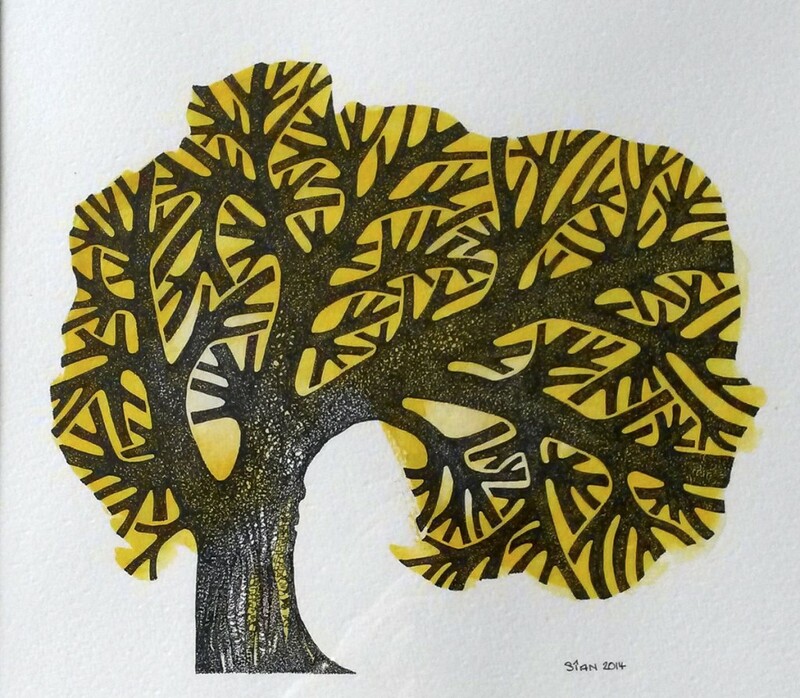 Being interested in form, detail and pattern, her trees are often mistaken as woodcuts, but they are all hand drawn. Over the years Caroline Forbes have been involved with many publishing companies including Faber and Faber, Harvill, Secker, Penguin, Harper Collins and Atlantic Books also various magazines – The Independent, Wire and Gardens Illustrated. Her literary work continues today with work for the National Poetry Archive which was set up by Andrew Motion and Richard Carrington as a national resource for people to listen to poets reading their work. 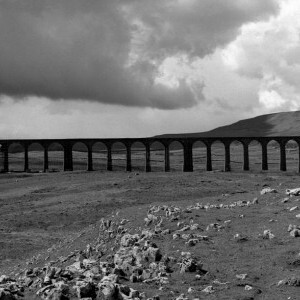 As well as literary portraits Caroline was commissioned to take photographs for a couple of landscape books – The 3 Peaks of Yorkshire and The Drovers Roads of Wales – part 2. Now photographing landscapes for pure pleasure remains a great enthusiasm. 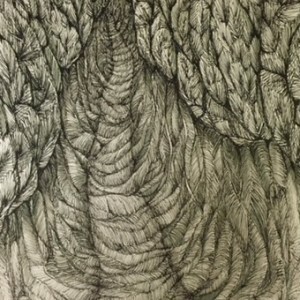 Exhibitions of her landscape work and portraits of writers and musicians have been shown nationally and internationally at venues including The British Library, Shaw Theatre in London and various regional Arts Centres in UK and Northern Ireland as well in Minneapolis.